The National Award Winner editor Kishore Te is critical. 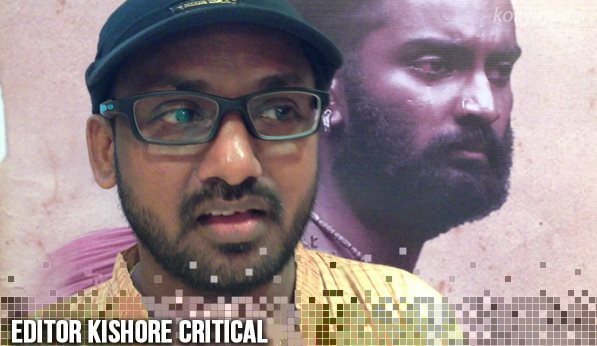 Kishore has suffered a Brain Stroke last Friday, while he was working in his editing room along with director Vetrimaaran for an upcoming Tamil movie. The 37-year-old was rushed to a Vijaya Hospital after he was found unconscious. Kishore was operated for a blood clot in Brain, but the renowned editor is in Coma for past two days. We hear the Aadukalm director Vettrimaaran admitted him in the hospital and no body is there to take care of him other than his father. The film editor who made his debut with Eeram in 2009 has been part of many blockbuster Tamil films like Aadukalam, Mappillai, 180, Engeyum Eppothum, Kanchana, Aarohanam, Dhoni, Ethir Neechal, Udhayam NH4 and others. Soodhadi, Visaranai are some of his upcoming movies.